The Police on Thursday, arraigned four men in an Iyaganku Chief Magistrates’ court, for alleged unlawful possession of human parts. The defendants, Suleiman Hammed, 35, an Islamic cleric, Olatunji Abiodun, 26, bricklayer, Olapade Saheed, 32, bus conductor and Akinyele Tope, 45, clergy all of Ibadan. The Police Prosecutor, Insp. 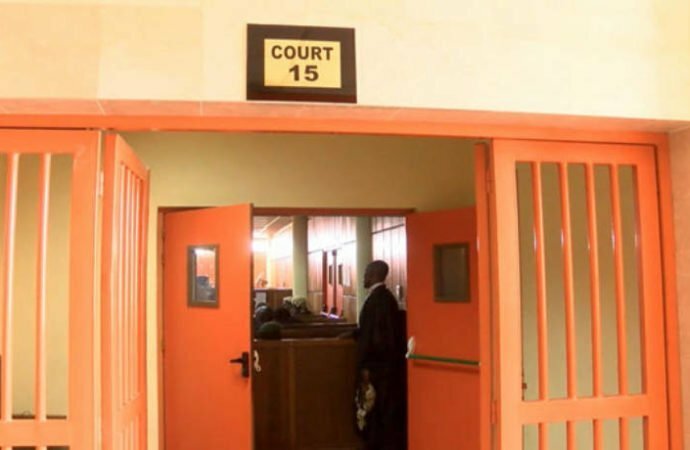 Samad Aliu told the court that on February 3 the defendants and others now at large, allegedly conspired to commit the offence at Alapa street, Ayegun, Ibadan. He said that Hammed, who was at the Funeral of the deceased, one Okunola Ashimiyu, when he was buried, conspired with the other defendants to remove the human parts from the grave. The offence contravened sections 516 and 329 (A) of the Criminal Code Cap 38, Vol.II, Laws of Oyo state 2000. Mr. Joseph Adeoye, Counsel to Abiodun and Akinyele, prayed the court to grant his client bail in the most liberal terms. The Magistrate, Mrs. Kehinde Omotosho granted the four defendants bail of N500, 000 with two sureties each in like sum. She said one of the sureties must be a blood relation, while the second surety must be a Civil servant not less than a grade level 10. Omotosho ordered that the human parts tendered as exhibit should be released to the deceased family for reburial. She adjourned the case until April 3, for hearing.